An international team of researchers including Dmitry Ivanov, the head of laboratory of functional soft-matter systems, MSU, announced the development of a synthetic chameleon skin. Similar to its biological analogue, the synthetic skin reacts to mechanical stimuli by changing its stiffness and color. The scientists see their development as quite promising. The work was published in the recent issue of the Science journal. Having worked in academic institutions in Europe for 25 years, Dmitry Ivanov founded a laboratory of functional soft-matter systems at the Faculty of Physical and Chemical Engineering, MSU. To take the direction of the new laboratory, he left the direction of a French Institute of Materials Sciences operating under the French National Center for Scientific Research. Today Dmitry Ivanov actively involves his Moscow colleagues into international projects, one of which is the development of the chameleon skin. Naturally, this is not exactly skin and it doesn't belong to a chameleon. The scope of the development is active camouflage, although camouflaging is not the only property of this novel material. Generally, chameleon is not the only animal able to change the colour of its skin depending on its state. The means of active camouflage are also used by some cephalopods and amphibians. This is a synthetic chameleon skin. In addition, under external mechanical stimuli their soft skin quickly becomes stiff to prevent premature rupture. Scientists have been trying for a long time to create synthetic materials with similar properties, however all polymers that have been developed by now showed by far smaller changes in mechanical stiffness under deformation than living tissues. As for a material that could stiffen under stretching and change colour at the same time, no one dared even dream about it. Still, now it exists. The development of the team is based on the so-called copolymers, i.e. polymers that consist of several different constituent parts. According to Dmitry Ivanov, the copolymer created by the authors of the article is substantially different from conventional linear macromolecules. The new macromolecule resembles a dumbbell with a hairy hand. The center of the construct is formed by an element with densely grafted branches that looks like a bottle brush. What is interesting about such a molecular brush initially developed in the USA, some years ago, is that the macromolecular backbone with branches is very stiff. A material consisting of such brushes may be initially quite soft but rapidly stiffens upon deformation. Moreover, the new polymers are capable of molecular self-assembly -- a property that is being actively studied in Ivanov's Moscow lab. In certain conditions such a system is able to assemble into a complex hierarchical structure from the basic elements -- macromolecules. The final structure will have completely different characteristics than the basic elements in the initial non-organized state. During this process, nanometer-sized particles transform into a material with targeted properties and functionality. The international team of researchers participating in this project was the first to code all properties required for practical use (e.g., the full stress-strain curve) in the molecular structure of such polymers. The whole deformation behavior may be coded in a specific way to make it completely identical to that of the living tissues. Among the prospects opened by this material Dmitry Ivanov emphasizes its use in medicine, in particular in the manufacture of biological implants where it will eliminate the issue of mechanical inconsistency. Each biological implant should have mechanical properties very similar to those of surrounding tissues, otherwise the patient may be hurt. The figure shows sample stress-strain curves of pig skin compared to those of the developed polymers. One can see that the new materials reproduce the mechanical properties of living skin with high accuracy. Another important element of the synthesized molecular dumbbells are their end pieces. In the course of self-assembly they form nanosized spheres creating an active camouflage effect, as the distances between the spheres satisfy the conditions for diffraction of visible light. Mechanical deformation of such a structure changes the conditions of diffraction and results in a blue shift of the iridescent sample colour. Therefore, the new materials can reproduce not only the stress-strain curves of living tissues but also their coloration created by a purely physical phenomenon - light diffraction. Ivanov explains: "Our materials may be programmed to cover a wide range of mechanical and colour characteristics. The only thing you have to do is set out the necessary structural parameters of the molecular "brushes". This approach is similar to coding our hereditary information in DNA strands." A nanowire structure and electron transfer process of a unique bacterium could provide a foundation for sustainable energy. Could a unique bacterium be nature's microscopic power plant? Scientist Moh El-Naggar and his team think it's possible. They work with the Shewanella oneidensis species of bacteria, one of a group of microbes that essentially "breathe" rocks. As part of their metabolism, the bacteria have developed a way to transfer electrons from the interior of the cell across their outer membrane to a receiving surface in the outside world. The process is akin to the way humans use oxygen to breathe. The body takes electrons from food and, ultimately, transfers those electrons to oxygen inhaled by the lungs. Scientist Moh El-Naggar studies bacteria that construct membrane wires to 'breathe' rock. This three-dimensional construct depicts a wire composed of spherical vesicles containing electron-transporting proteins (red and green). The organism was discovered nearly 30 years ago by Kenneth Nealson, now Wrigley Chair in Environmental Studies and professor of Earth sciences and biological sciences at USC Dornsife. Scientists have more recently been interested in learning exactly how the bacteria pull off such an exceptional biological trick. El-Naggar,associate professor of physics, biological sciences, and chemistry at USC Dornsife, and a collaborative team from USC and Caltech think they have the answer. Their paper published on March 22 by the Proceedings of the National Academy of Sciences highlights research that offers a new understanding of how these bacteria may use "nanowires" to accomplish the electronic feat. Harnessing energy from living, organic sources holds tremendous potential for new sustainable technology. A microbial fuel cell, for example, could generate electricity by capturing electrons from the bacteria on electrodes instead of the rocks that these organisms evolved to breathe. "Microbes are highly evolved machines," El-Naggar said. "And what we have here is a class that is really good at converting energy and interacting with the abiotic world." Another advantage to using "electric bacteria" is already being explored at USC -- wastewater treatment. Microbes feed on the waste, oxidizing the organic substances and producing a small amount of electricity. Aside from myriad practical applications, these organisms could exemplify the kinds of life that exist in environments where little or no oxygen exists, such as the deep ocean or under the Martian surface. Depositing electrons outside the cell is how they survive, said El-Naggar, who holds the Robert D. Beyer ('81) Early Career Chair in Natural Sciences. "If one were to shut down the ability to transfer the electron out of their system, they would not be able to make energy. The bacteria would basically suffocate." Under the microscope, scientists can see what appear to be filaments projecting from these cells. For years, the prevailing hypothesis was that these were a form of tiny hairs called pili, similar to those found on other types of bacteria. But in 2013, a research scientist in El-Naggar's laboratory, Sahand Pirbadian, discovered that these projections, referred to as "nanowires," were actually extensions of the cell membrane covered in cytochromes -- proteins containing iron that facilitate electron transport. These nanowires allow the bacteria to connect with surfaces much further away than one would expect. Through light microscopy imaging, the team had an idea of the nanowires' basic composition. But they were curious as to whether the cytochromes were close enough together to transport electrons along the wire. If the density were high enough, they thought a bridge could form along the membrane that would allow an electron to cross onto external surfaces. For the current study, El-Naggar and Pirbadian collaborated with Grant Jensen and Poorna Subramanian at Caltech, experts in the use of electron cryotomography, or ECT. Using ECT, researchers can instantly freeze cells, preserving them in a form that is extremely close to their natural state, and then image them with nanoscale resolution in three dimensions. Subramanian and Pirbadian were able to capture life-like images of the bacteria and their nanowires. What they found was intriguing. "These are not simple tubes," El-Naggar said. "They turned out to be more like a chain of membrane pearls, strung together." With the images produced by ECT, the team was the first to see how electron transport proteins were distributed in the membrane to form the nanowires. While some were touching each other, many were further apart -- up to 30 nanometers -- a range too far for an electron to jump. With this new information, the team proposed that the proteins float within the membrane. This creates just enough collisions to allow electrons to exchange from one to the next until they reach the end of the nanowire and transfer to the rock or metal surface. Their next step is to confirm these collisions are, in fact, happening. While there is much that remains to be learned, El-Naggar is excited about where the research might lead. "My lab is driven by the idea that we could develop new machines, where living cells are functioning as part of a hybrid biotic-abiotic system," he said. "We are trying build the foundations of a new generation of living electronics." Authors on the study include Mohamed Y. El-Naggar and Sahand Pirbadian from the University of Southern California, and Grant J. Jensen and Poorna Subramanian from Caltech. A slippery rough surface (SRS) inspired by both pitcher plants and rice leaves outperforms state-of-the-art liquid-repellent surfaces in water harvesting applications, according to a team of researchers at Penn State and the University of Texas at Dallas. The team reports their work online today (March 30) in Science Advances, an open-access journal. "With an estimated 4 billion people living in a situation of water scarcity during at least some part of the year, an inexpensive method for harvesting water from water vapor or from fog droplets in air could have enormous practical applications, and will help alleviate the water scarcity issues in many regions of the world," said the project's leader, Tak-Sing Wong, who is the Wormley Family Early Career Professor in Engineering and assistant professor of mechanical engineering, Penn State. In the image, the left panel is a directional slippery rough surface (SRS, this study), the middle panel is a slippery liquid-infused porous surface (SLIPS) and the right panel is a superhydrophobic surface. This image shows a comparison of water harvesting performance of SRS vs other state-of-the-art liquid repellent surfaces. Many water-harvesting technologies are not as efficient, because when water is attracted to a hydrophilic surface, the water tends to form a sheet and clings to the surface, making it hard to remove. But Wong's post-doctoral scholar, Simon Dai, now an assistant professor at UT Dallas, was looking at combining different biological strategies to create a slippery solution for water harvesting. "With SRS, we combined the slippery interface of a pitcher plant with the surface architecture of a rice leaf, which has micro/nanoscale directional grooves on its surface that allows water to be removed very easily in one direction but not the other," said Dai. Dai developed a pitcher plant-inspired slippery surface with hydrophilic chemistry. At the same time, he added the directional grooves and gave the new surface a microscale roughness that increased the surface area. The rate of water and fog harvesting are directly proportional to the amount of surface area on which droplets can form. The rice leaf-inspired grooves whisk the water droplets away through capillary action or gravity. Through experiments carried out at Penn State, the team showed that these surfaces can collect tiny water droplets from air at a rate faster than many state-of-the-art surfaces. Molecular dynamics simulations carried out at UT Dallas by Dai's colleague, Steven Nielson, explained why the hydrophilic surface was particularly good at water harvesting. "If the SRS material is produced at scale, we estimate that we can collect over 120 liters of water per square meter of the surface per day, and we can further increase the water harvesting rate by optimizing the SRS," said Nan Sun, graduate student in Wong's group and coauthor of the paper, titled "Hydrophilic Directional Rough Surfaces for Water Harvesting." Wong's team is currently working on optimizing and scaling up the SRS with the goal to create highly efficient water harvesting systems for providing clean water in water scarcity regions. As part of an effort to identify distant planets hospitable to life, NASA has established a crowdsourcing project in which volunteers search telescopic images for evidence of debris disks around stars, which are good indicators of exoplanets. Using the results of that project, researchers at MIT have now trained a machine-learning system to search for debris disks itself. The scale of the search demands automation: There are nearly 750 million possible light sources in the data accumulated through NASA’s Wide-Field Infrared Survey Explorer (WISE) mission alone. In tests, the machine-learning system agreed with human identifications of debris disks 97 percent of the time. The researchers also trained their system to rate debris disks according to their likelihood of containing detectable exoplanets. In a paper describing the new work in the journal Astronomy and Computing, the MIT researchers report that their system identified 367 previously unexamined celestial objects as particularly promising candidates for further study. A young sun-like star encircled by its planet-forming disk of gas and dust. The work represents an unusual approach to machine learning, which has been championed by one of the paper’s coauthors, Victor Pankratius, a principal research scientist at MIT’s Haystack Observatory. Typically, a machine-learning system will comb through a wealth of training data, looking for consistent correlations between features of the data and some label applied by a human analyst — in this case, stars circled by debris disks. But Pankratius argues that in the sciences, machine-learning systems would be more useful if they explicitly incorporated a little bit of scientific understanding, to help guide their searches for correlations or identify deviations from the norm that could be of scientific interest. The new paper grew out of an MIT seminar that Pankratius co-taught with Sara Seager, the Class of 1941 Professor of Earth, Atmospheric, and Planetary Sciences, who is well-known for her exoplanet research. The seminar, Astroinformatics for Exoplanets, introduced students to data science techniques that could be useful for interpreting the flood of data generated by new astronomical instruments. After mastering the techniques, the students were asked to apply them to outstanding astronomical questions. For her final project, Tam Nguyen, a graduate student in aeronautics and astronautics, chose the problem of training a machine-learning system to identify debris disks, and the new paper is an outgrowth of that work. Nguyen is first author on the paper, and she’s joined by Seager, Pankratius, and Laura Eckman, an undergraduate majoring in electrical engineering and computer science. From the NASA crowdsourcing project, the researchers had the celestial coordinates of the light sources that human volunteers had identified as featuring debris disks. The disks are recognizable as ellipses of light with slightly brighter ellipses at their centers. The researchers also used the raw astronomical data generated by the WISE mission. To prepare the data for the machine-learning system, Nguyen carved it up into small chunks, then used standard signal-processing techniques to filter out artifacts caused by the imaging instruments or by ambient light. Next, she identified those chunks with light sources at their centers, and used existing image-segmentation algorithms to remove any additional sources of light. These types of procedures are typical in any computer-vision machine-learning project. But Nguyen used basic principles of physics to prune the data further. For one thing, she looked at the variation in the intensity of the light emitted by the light sources across four different frequency bands. She also used standard metrics to evaluate the position, symmetry, and scale of the light sources, establishing thresholds for inclusion in her data set. In addition to the tagged debris disks from NASA’s crowdsourcing project, the researchers also had a short list of stars that astronomers had identified as probably hosting exoplanets. From that information, their system also inferred characteristics of debris disks that were correlated with the presence of exoplanets, to select the 367 candidates for further study. A composite image of the planet Venus as seen by the Japanese probe Akatsuki. 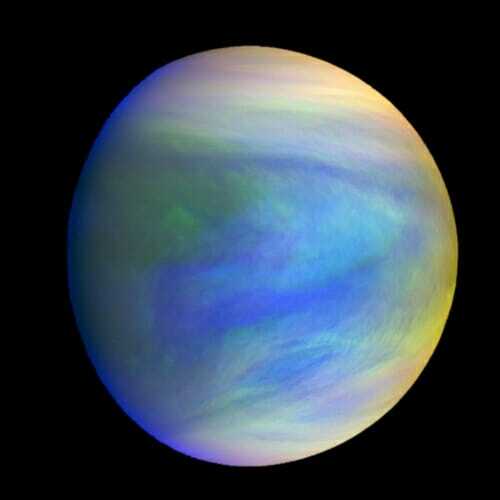 The clouds of Venus could have environmental conditions conducive to microbial life. A Venus Atmospheric Maneuverable Platform, or VAMP. 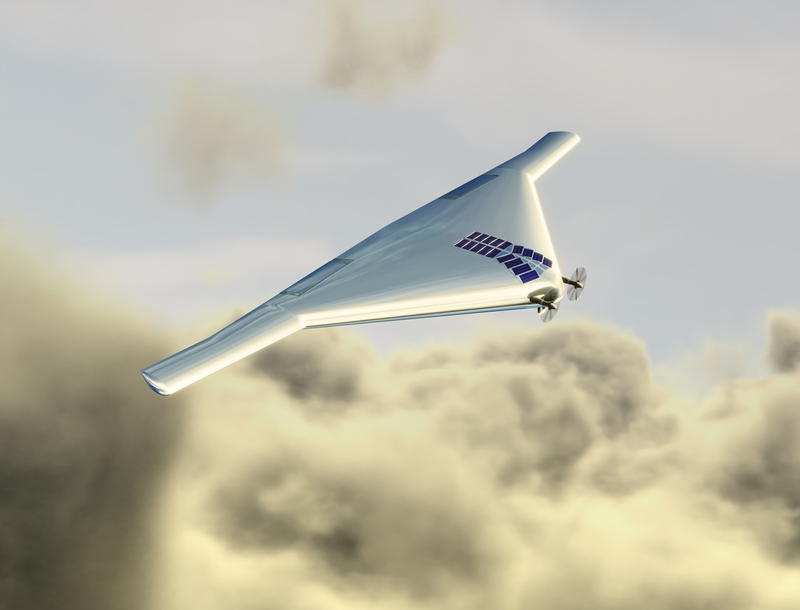 The aircraft, which would fly like a plane and float like a blimp, could help explore the atmosphere of Venus, which has temperature and pressure conditions that do not preclude the possibility of microbial life. Case Western Reserve University researchers achieve cat-like 'hearing' with device 10,000,000,000,000 times smaller than human eardrum. Researchers at Case Western Reserve University (CWRU) are developing atomically thin "drumheads" able to receive and transmit signals across a radio frequency range far greater than what we can hear with the human ear. llustration of ultrasensitive optical interrogation of the motions of atomically thin drumhead nanoelectromechanical resonators (made of atomic layers of MoS2 semiconductor crystals). Comparison of dynamic ranges and frequency bands of the eardrums of humans, other animals, and atomically thin drumheads. The paper's co-authors were: Jaesung Lee, a Case Western Reserve post-doctoral research associate; Max Zenghui Wang, a former research associate now at the University of Electronic Science and Technology of China (UESTC), Chengdu, China; Keliang He, a former graduate student in physics, now a senior engineer at Nvidia; Rui Yang, a former graduate student and now a post-doctoral scholar at Stanford University; and Jie Shan, a former physics professor at Case Western Reserve now at Cornell University. The work has been financially supported by the National Academy of Engineering Grainger Foundation Frontiers of Engineering Award (Grant: FOE 2013-005) and the National Science Foundation CAREER Award (Grant: ECCS-1454570). Highest Known Sea Levels Create the Iconic Shape of Mount Etna? The iconic cone-like structure of Mount Etna could have been created after water levels in the Mediterranean Sea rose following an extended period of deglaciation, according to new research. A study by Iain Stewart, Professor of Geoscience Communication at the University of Plymouth, explores changes in the volcano’s structures which began around 130,000 years ago. Scientists have previously said the switch from a fissure-type shield volcano to an inland cluster of nested stratovolcanoes was caused by a tectonically driven rearrangement of major border faults. However Professor Stewart, writing in Episodes, has suggested the change coincides closely with a period of particularly high sea levels that could have triggered the fundamental change in Mount Etna’s magmatic behaviour. He also believes such a phenomenon could also explain changes at other volcanic sites across the world including the similarly iconic Stromboli, just off the north coast of Sicily, and even the volcano on Montserrat in the Caribbean. Mount Etna’s eruptive history began around 500,000 years ago with submarine volcanism. But this changed around 220,000 years ago into fissure type activity which built a north-south chain of eruptive centres along the present coastline. This ultimately created a broad shield volcano immediately east of Etna’s coastline, which ceased around 130,000 years ago at the same time as the sea reached its highest levels following a period of deglaciation starting almost 12,000 years earlier. However, Professor Stewart believes that over a few millennia those sea level rises could have caused the fault system beneath and around Mount Etna to completely change in behaviour, sealing up old lava flows and ultimately forcing them to emerge elsewhere on the island. This ultimately created the iconic cone structure visible today, with Europe’s most active volcano still continuing to erupt tens of thousands of years later. This new research has been published days after another study showed that Etna is edging towards the Mediterranean at a rate of around 14mm per year. The full study – Did sea-level change cause the switch from fissure-type to central-type volcanism at Mount Etna, Sicily? by Iain S Stewart – is published in Episodes (Journal of International Geoscience), DOI: 10.18814/epiiugs/2018/v41i1/018002. Optoelectronic engineers in China and Hong Kong have manufactured a special type of liquid crystal display (LCD) that is paper-thin, flexible, light and tough. With this, a daily newspaper could be uploaded onto a flexible paperlike display that could be updated as fast as the news cycles. It sounds like something from the future, but scientists estimate it will be cheap to produce, perhaps only costing $5 for a 5-inch screen. The new optically rewritable LCD design was reported this week in Applied Physics Letters, from AIP Publishing. The team focused on two key innovations for achieving highly flexible designs. The first is the recent development of optically rewritable LCDs. Like conventional LCD displays, the display is structured like a sandwich, with a liquid crystal filling between two plates. Unlike conventional liquid crystals where electrical connections on the plates create the fields required to switch individual pixels from light to dark, optically rewritable LCDs coat the plates with special molecules that realign in the presence of polarized light and switch the pixels. This removes the need for traditional electrodes, reduces the structure’s bulk and allows more choices in the type and thickness of plates. Consequently, optically rewritable LCDs are thinner than traditional LCDs, at less than half a millimeter thick, can be made from flexible plastic, and weigh only a few grams. “It’s only a little thicker than paper,” said Jiatong Sun, a co-author from Donghua University in China. Optically rewritable LCDs are durable and cheap to manufacture because of their simple structure. Moreover, like an electronic paper screen in an e-book, energy is only required to switch display images or text. Therefore, running costs are low because these new LCDs don’t need power to sustain an image once it is written on the screen. The second innovation involves the spacers that create the separation of the plastic or glass plates. “We put spacers between glass layers to keep the liquid crystal layer uniform,” Sun said. Spacers are used in all LCDs to determine the thickness of the liquid crystal. A constant thickness is necessary for good contrast ratio, response time and viewing angle. However, when plates bends, it forces the liquid crystal away from the impact site and leaves sections of the screen blank and so alterations in spacer design are critical to prevent liquid crystal in flexible LCDs from moving excessively. Developing a flexible design that overcomes this barrier has proven challenging. The researchers tried three different spacer designs and found that a meshlike spacer prevented liquid crystal from flowing when their LCD was bent or hit. This innovation enabled them to create the first flexible optically rewritable LCD. An additional innovation involved improved color rendering. The scientists report that until this study, optically rewritable LCDs had only been able to display two colors at a time. Now, their optically rewritable LCD simultaneously displays the three primary colors. They achieved this by placing a special type of liquid crystal behind the LCD, which reflected red, blue and green. To make this into a commercial product, Sun wants to improve the resolution of the flexible optically rewritable LCD. “Now we have three colours but for full colour we need to make the pixels too small for human eyes to see,” Sun said. The Sahara Desert has expanded by about 10 percent since 1920, according to a new study by National Science Foundation (NSF)-funded scientists at the University of Maryland (UMD). The research is the first to assess century-scale changes to the boundaries of the world's largest desert. It suggests that other deserts could be expanding as well. The study is published today in the Journal of Climate. "The trends in Africa of hot summers getting hotter and rainy seasons drying out are linked with factors that include increasing greenhouse gases and aerosols in the atmosphere," says Ming Cai, a program director in NSF's Division of Atmospheric and Geospace Sciences, which funded the research. "These trends have a devastating effect on the lives of African people, who depend on agriculture-based economies." Satellite image showing the Sahara Desert (beige) and savannas to the south (green). Deserts are defined by low average annual rainfall -- usually 100 millimeters (less than 4 inches) of rain per year or less. The researchers analyzed annual rainfall data recorded throughout Africa from 1920 to 2013 and found that the Sahara, which occupies much of the northern part of the continent, expanded by 10 percent during this period. 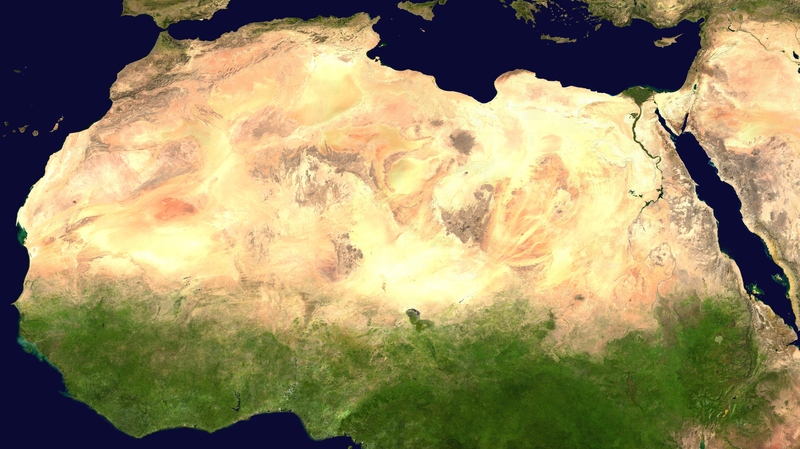 When the scientists looked at seasonal trends over the same period, the most notable expansion of the Sahara occurred in summer, resulting in a nearly 16 percent increase in the desert's average area over the 93-year span covered by the study. Africa's Sahara Desert is expanding, encroaching on savanna ecosystems. 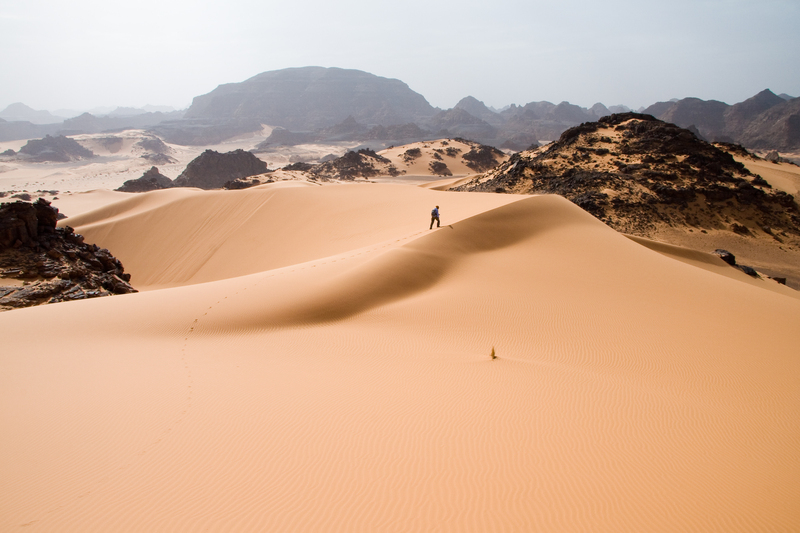 "Our results are specific to the Sahara, but they likely have implications for the world's other deserts," said Sumant Nigam, an atmospheric and ocean scientist at UMD, and the senior author of the study. The results suggest that human-caused climate change, as well as natural climate cycles, caused the desert's expansion. The geographic pattern of expansion varied from season to season, with the largest differences along the Sahara's northern and southern boundaries. "Deserts usually form in the subtropics because of what's called Hadley circulation, through which air rises at the equator and descends in the subtropics," Nigam said. That circulation has a drying effect. "Climate change is likely to widen this Hadley circulation, causing the northward advance of subtropical deserts," said Nigam. "The southward creep of the Sahara suggests that additional mechanisms are at work." The Sahara is the world's largest warm-weather desert, roughly equal in size to the contiguous United States. A seemingly endless sea of sand, the Sahara stretches to the horizon. 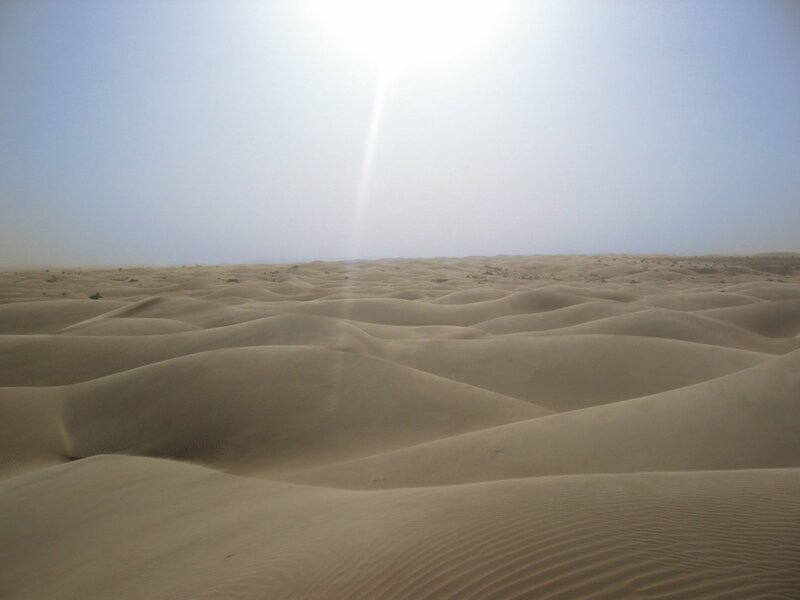 Like all deserts, the boundaries of the Sahara fluctuate with the seasons, expanding in the dry winter and contracting during the wetter summer. The southern border of the Sahara adjoins the Sahel, the semi-arid transition zone that lies between the Sahara and fertile savannas farther south. The Sahara expands as the Sahel retreats, disrupting the region's fragile savanna ecosystems and human societies. Lake Chad, which sits at the center of this transition zone, serves as a bellwether for changing conditions in the Sahel. "The entire Chad Basin falls in the region where the Sahara has crept southward, and the lake is drying out," Nigam explained. "It's a very visible footprint of reduced rainfall not just locally, but across the whole region. It's an indicator of declining water in the Chad Basin." Natural climate cycles, or climate change? Natural climate cycles can affect rainfall in the Sahara and the Sahel. The researchers concluded that these climate cycles accounted for about two-thirds of the total expansion of the Sahara. The remaining one-third can be attributed to human-caused climate change, but the authors note that longer climate records that extend across several climate cycles are needed to reach definitive conclusions. 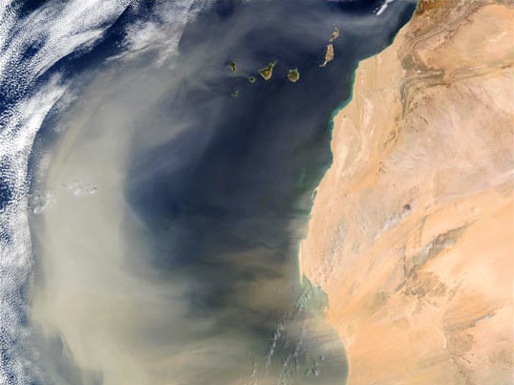 An intense Saharan dust storm sends a massive dust plume northwestward over the Atlantic Ocean. "Many previous studies have documented trends in rainfall in the Sahara and Sahel, but our study is unique in that we use these trends to infer changes in the desert expanse on a century timescale," said researcher Natalie Thomas of UMD, lead author of the paper. The results have far-reaching implications for the future of the Sahara and other subtropical deserts. As the world's population continues to grow, a reduction in land with adequate rainfall to support crops could have devastating consequences. "Our priority was to document long-term trends in rainfall and temperature in the Sahara," said Thomas. "Our next step will be to look at what's driving these trends, for the Sahara and elsewhere. "We've already started looking at seasonal temperature trends over North America, for example. Here, winters are getting warmer but summers are about the same. In Africa, it's the opposite -- winters are holding steady but summers are getting warmer. So the stresses in Africa are already more severe." Black plague killed between 30 to 50 percent of people worldwide. The cause, Yersinia pestis, is still around, but people are not dying of the plague. An even more devastating modern disease caused by the chytrid fungus wiped entire frog and salamander populations off the map. New results from work at the Smithsonian Tropical Research Institute (STRI) in Panama published in the Mar. 29 edition of Science, reveal the outcomes of the chytridiomycosis epidemic and their implications for diseases of mass destruction. "Imagine a deadly disease that affects not only humans but other mammal species like dogs, cats and cows," said Roberto Ibáñez, STRI staff scientist and in-country director of the Panama Amphibian Rescue and Conservation Project. "Chytridiomycosis kills off most of the individuals in many different species of amphibians, but for some species it stops short of driving them to complete extinction." "We were lucky that Karen Lips, now at the University of Maryland in College Park and colleagues saw this epidemic coming into Panama from Costa Rica, and researchers were able to study both the frogs and the disease before, during and after the peak of the epidemic," Ibañez said. STRI staff scientist and in-country director of the Panama Amphibian Rescue and Conservation Project, Roberto Ibañez, collecting frogs for captive breeding. Disease outbreaks rarely annihilate the host species, because pathogens need their hosts in order to survive and reproduce. "Because we have pathogen and host samples from before, during and after the epidemic, we can ask whether some frogs survived because the pathogen grew weaker through time, or because the frogs' immune systems or resistance increased through time," said Jamie Voyles, disease ecologist at the University of Nevada, Reno, and first author of the paper. This Panamanian frog demonstrates a very wide range of color patters, thus its name, Atelopus varius. The authors tracked changes in amphibian species numbers and communities, infection patterns, host resistance and pathogen virulence for several decades hoping to see evidence of a weaker pathogen and/or of host resistance. The disease-causing fungus, Batrachochytrium dendrobatidis, appeared in El Cope, Panama, in 2004, in El Valle in 2006 and in Campana National Park in 2007. Between five and 13 years after the epidemic, the authors saw evidence of some recovery in nine species, but the fungus was still present. However, not all frog species rebounded, some species are still missing. There was no evidence that the pathogen grew more slowly, responded differently to skin secretions from the frogs or became less virulent. However, skin secretions from wild frogs that survived the epidemic inhibited growth of the fungus significantly more than secretions from frogs moved into captive breeding programs before the disease arrived. Researchers think that wild frogs became more resistant to the disease. "The Panama Amphibian Rescue and Conservation Project collected healthy frogs before the outbreak," Ibañez said. "We learned to breed them in captivity and are now releasing Atelopus varius in areas where the epidemic has passed, so it is extremely important for us to realize that the defenses of these frogs may be weaker than the defenses of frogs that survived the epidemic in the wild. Captive breeding programs must consider breeding and releasing frogs with stronger defenses, and testing their skin secretions against the fungus is one useful tool to see which frogs are more resistant." As in other pathogens that infect multiple species, the chytrid fungus poses a threat to amphibians, the cytrid fungus poses a threat to amphibians, increasing the likelihood of extinction of some species. It is vital to understand how disease transitions work--from outbreak, to epidemic, to coexistence--and our results have implications for a skyrocketing human population facing emerging diseases with the potential to cause global pandemics," said Ibañez. Author affiliations include: the Smithsonian Tropical Research Institute; the University of Nevada, Reno; the University of Pittsburgh; the University of California, Berkeley; the New Mexico Institute of Mining and Technology; the Arizona Game and Fish Department; Vanderbilt University; Sistema Nacional de Investigación, Panama; La Mica Biological Station and the Fundación Centro de Conservación de Anfibios, Panama. Very slow brain waves, long considered an artifact of brain scanning techniques, may be more important than anyone had realized. 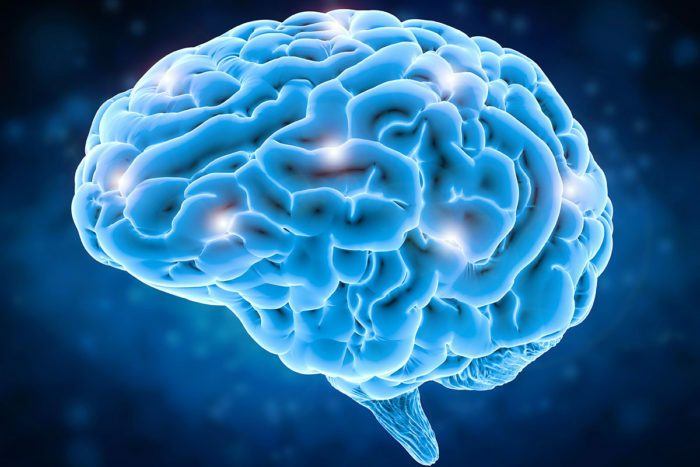 Researchers at Washington University School of Medicine in St. Louis have found that very slow waves are directly linked to state of consciousness and may be involved in coordinating activity across distant brain regions. If you keep a close eye on an MRI scan of the brain, you’ll see a wave pass through the entire brain like a heartbeat once every few seconds. This ultra-slow rhythm was recognized decades ago, but no one quite knew what to make of it. MRI data are inherently noisy, so most researchers simply ignored the ultra-slow waves. But by studying electrical activity in mouse brains, researchers at Washington University School of Medicine in St. Louis have found that the ultra-slow waves are anything but noise. They are more like waves in the sea, with everything the brain does taking place in boats upon that sea. Research to date has been focused on the goings-on inside the boats, without much thought for the sea itself. But the new information suggests that the waves play a central role in how the complex brain coordinates itself and that the waves are directly linked to consciousness. The study is published March 29 in the journal Neuron. In the early 2000s, Raichle and others discovered patterns of brain activity in people as they lay quietly in MRI machines, letting their minds wander. These so-called resting-state networks challenged the assumption that the brain quiets itself when it’s not actively engaged in a task. Now we know that even when you feel like you’re doing nothing, your brain is still humming along, burning almost as much energy daydreaming as solving a tough math problem. Using resting-state networks, other researchers started searching for – and finding – brain areas that behaved differently in healthy people than in people with brain diseases such as schizophrenia and Alzheimer’s. But even as resting-state MRI data provided new insights into neuropsychiatric disorders, they also consistently showed waves of activity spreading with a slow regularity throughout the brain, independently of the disease under study. Similar waves were seen on brain scans of monkeys and rodents. Some researchers thought that these ultra-slow waves were no more than an artifact of the MRI technique itself. MRI gauges brain activity indirectly by measuring the flow of oxygen-rich blood over a period of seconds, a very long timescale for an organ that sends messages at one-tenth to one-hundredth of a second. Rather than a genuinely slow process, the reasoning went, the waves could be the sum of many rapid electrical signals over a relatively long time. First author Anish Mitra, PhD, and Andrew Kraft, PhD – both MD/PhD students at Washington University – and colleagues decided to approach the mystery of the ultra-slow waves using two techniques that directly measure electrical activity in mice brains. In one, they measured such activity on the cellular level. In the other, they measured electrical activity layer by layer along the outer surface of the brain. They found that the waves were no artifact: Ultra-slow waves were seen regardless of the technique, and they were not the sum of all the faster electrical activity in the brain. Instead, the researchers found that the ultra-slow waves spontaneously started in a deep layer of mice’s brains and spread in a predictable trajectory. As the waves passed through each area of the brain, they enhanced the electrical activity there. Neurons fired more enthusiastically when a wave was in the vicinity. Moreover, the ultra-slow waves persisted when the mice were put under general anesthesia, but with the direction of the waves reversed. The fact that the waves’ trajectory changed so dramatically with state of consciousness suggests that ultra-slow waves could be fundamental to how the brain functions. If brain areas are thought of as boats bobbing about on a slow-wave sea, the choppiness and direction of the sea surely influences how easily a message can be passed from one boat to another, and how hard it is for two boats to coordinate their activity. The researchers now are studying whether abnormalities in the trajectory of such ultra-slow waves could explain some of the differences seen on MRI scans between healthy people and people with neuropsychiatric conditions such as dementia and depression. This work was funded by the National Institutes of Health (NIH), grant numbers F30MH106253, NS080675, Q1 R01NS084028, R01NS085419, R01NS094692, F31NS089135, MH102471, R01 NS099429 and R01 NS078223; and the McDonnell Center for Systems Neuroscience. Citation: Mitra A, Kraft A, Wright P, Acland B, Snyder AZ, Rosenthal Z, Czerniewski L, Bauer A, Snyder L, Culver J, Lee J-M, Raichle ME. Spontaneous Infra-Slow Brain Activity has Unique Spatiotemporal Dynamics and Laminar Structure. Neuron. March 29, 2018. Dining out more at restaurants, cafeterias and fast-food outlets may boost total levels of potentially health-harming chemicals called phthalates in the body, according to a study out today. Phthalates, a group of chemicals used in food packaging and processing materials, are known to disrupt hormones in humans and are linked to a long list of health problems. Lead author Julia Varshavsky, PhD, MPH, who did the work while she was at the University of California, Berkeley, School of Public Health, Zota, and their colleagues used data from the National Health and Nutrition Examination Survey (NHANES) collected between 2005 and 2014. The 10,253 participants in the study were asked to recall what they ate and where their food came from in the previous 24 hours. The researchers then analyzed the links between what people ate and the levels of phthalate break-down products found in each participant's urine sample. Certain foods, and especially cheeseburgers and other sandwiches, were associated with increased levels of phthalates--but only if they were purchased at a fast-food outlet, restaurant or cafeteria. The study found that sandwiches consumed at fast food outlets, restaurants or cafeterias were associated with 30 percent higher phthalate levels in all age groups. "Pregnant women, children and teens are more vulnerable to the toxic effects of hormone-disrupting chemicals, so it's important to find ways to limit their exposures," says Varshavsky, who is now a postdoctoral scientist at the University of California, San Francisco. "Future studies should investigate the most effective interventions to remove phthalates from the food supply." The new study looked more broadly at dining out--not just at fast-food outlets--and found that it was significantly associated with increased exposure to phthalates. The authors say the findings are worrisome because two-thirds of the U.S. population eats at least some food outside the home daily. The team used an innovative method of assessing real-world exposures to multiple phthalates, called cumulative phthalate exposure, which takes into account evidence that some phthalates are more toxic than others. The National Academies of Sciences has weighed in twice on phthalates--first in a 2008 report, they recommended using cumulative risk assessments in order to estimate the human health risk posed by this class of chemicals; and then in 2017 with a report finding that certain phthalates are presumed to be reproductive hazards to humans. Though their purpose and function are still largely unknown, mirror neurons in the brain are believed by some neuroscientists to be central to how humans relate to each other. Deficiencies in mirror neurons might also play a role in autism and other disorders affecting social skills. Scientists have previously shown that when one animal watches another performing a motor task, such as reaching for food, mirror neurons in the motor cortex of the observer’s brain start firing as though the observer were also reaching for food. New Duke research published March 29 in the journal Scientific Reports suggests mirroring in monkeys is also influenced by social factors, such as proximity to other animals, social hierarchy and competition for food. The Duke team found that when pairs of monkeys interacted during a social task, the brains of both animals showed episodes of high synchronization, in which pools of neurons in each animal’s motor cortex tended to fire at the same time. This phenomenon is known as interbrain cortical synchronization. “We believe our study has the potential to open a complete new field of investigation in modern neuroscience by demonstrating that even the simplest functions of the motor cortex, such as creating body movements, are heavily influenced by the type of social relationships among the animals participating,” said senior author Miguel Nicolelis, M.D., Ph.D.
“For decades, researchers suspected that cortical synchrony may play roles in perceptive and cognitive functions," said Daofen Chen, Ph.D., at the National Institute of Neurological Disorders and Stroke (NINDS), one of the funders of the research. "This study introduced a new paradigm, and opens the door to understanding a new social dimension of brain circuitry function behind that synchrony." During one task, one monkey, called the passenger, sat in an electronic wheelchair programmed to reach a reward across the room, a fresh grape. A second monkey, the observer, was also in the room watching the first monkey’s trajectory toward the reward. Electrical activity in the motor cortex of each monkey’s brain was recorded simultaneously. An analysis showed that when the passenger traveled across the room under the attentive gaze of the observer, pools of neurons in their motor cortices showed episodes of synchronization. The researchers found these episodes of interbrain cortical synchronization (ICS) could predict the location of the passenger’s wheelchair in the room, as well its velocity. The brain activity could also predict how close the animals were to each other, as well as the passenger’s proximity to the reward. During tasks when the colony’s most dominant monkey was traveling toward the reward under the observation of a lower-ranking animal, the magnitude of ICS grew steadily as the passenger approached the observer. Synchronization peaked when the animals were about three feet apart -- close enough that one might be able to stretch out an arm to groom the other, or attack. The researchers believe episodes of ICS were generated by the simultaneous activation of mirror-neurons in both the passenger’s and observer’s brains. They propose similar correlations between brain synchrony and social interaction might take place during human social interactions, as well. The research was supported by The Hartwell Foundation, NINDS (R01NS073952) and the National Institute of Mental Health (DP1MH099903), both part of the National Institutes of Health. In the future, body tight clothing may change colors like a chameleon 's skin as an athlete, dancer or consumer moves. Biological tissues have complex mechanical properties – soft-yet-strong, tough-yet-flexible – and are difficult to reproduce using synthetic materials. Now an international team has managed to produce a biocompatible synthetic material that replicates tissue mechanics and alters color when it changes shape, like chameleon skin. These results, to which researchers from CNRS, Université de Haute-Alsace1 and ESRF, the European Synchrotron, have contributed with colleagues in the US (University of North Carolina at Chapel Hill, University of Akron), are published on March 30, 2018 in Science. They promise new materials for biomedical devices. To produce a medical implant, we need to select materials with similar mechanical properties to those in biological tissues, so as to mitigate inflammation or necrosis. A number of tissues including the skin, the intestinal wall, and the heart muscle, have the particularity of being soft yet stiffening when they are stretched. Until now, it has been impossible to reproduce this behavior with synthetic materials. Top – left: molecular structure of a plastomer synthesized in this work; right: supramolecular structure formed by the assembly of identical plastomers. Bottom – left: stress-strain curves for plastomers (“M300-2” and “M300-3”) that mimic the mechanical behavior of pig skin samples (“porcine”, in transversal or longitudinal cross-section); right: image showing the iridescent color of the plastomers. The edges are less blue because they receive the light at a different angle. The researchers have attempted to achieve this with a unique triblock copolymer2. They have synthesized a physically cross-linked elastomer composed of a central block onto which side chains are grafted (like a bottle brush) and with linear terminal blocks at each end (See figure). The researchers have found that by carefully selecting the polymer's structural parameters, the material followed the same strain curve as a biological tissue, in this case pig skin. It is also biocompatible, since it does not require additives, e.g. solvent, and remains stable in the presence of biological fluids. Another property of the material appeared during the experiments: its color change upon deformation. As the scientists have shown, this is a purely physical phenomenon, which is caused by light scattering from the polymer structure. Atomic force microscopy and X-ray diffraction experiments have shown that the terminal blocks of these polymers assemble in nanometer spheres, distributed in a brush-polymer matrix. Light interferes with this microphase-separated structure to produce color according to the distance between the spheres; so when the material is stretched it changes color. It is the same mechanism that explains – in large part – how chameleons change color. The researchers have therefore succeeded in encoding in a unique synthetic polymer both mechanical properties (flexibility, strain profile) and optical properties, which had never previously been achieved. By adjusting the length or density of the “brush's” various side chains, these properties can be modulated. This discovery could lead to medical implants or more personalized prostheses (vascular implants, intraocular implants, replacement of intervertebral discs), and also to materials with completely new strain profiles, and applications that have not yet been imagined. Materials inspired by disappearing Hollywood dinosaurs and real-life shy squid have been invented by UCI engineers, according to new findings in Science this Friday. 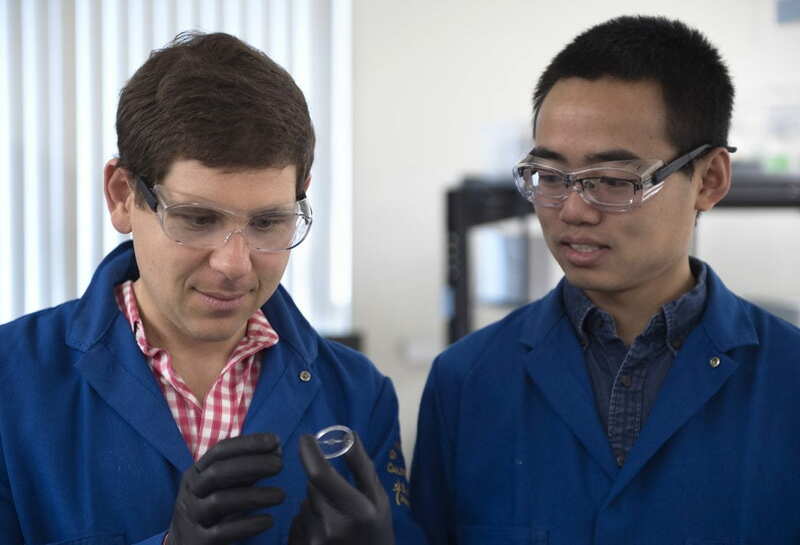 UCI engineering professor Alon Gorodetsky and doctoral student Chengyi Xu have achieved a breakthrough, inventing a stretchy new material modeled after both squid skin and Hollywood dinosaurs with remarkable properties. Sharply restricting calories can fend off signs of aging, but for many people it’s not practical. Nicotinomide riboside (NR) mimics caloric restriction, kick-starting the same pathways responsible for its health benefits. In some people, NR lowers blood pressure and reduces arterial stiffness. But a new CU Boulder study published today indicates that when people consume a natural dietary supplement called nicotinomide riboside (NR) daily, it mimics caloric restriction, aka “CR,” kick-starting the same key chemical pathways responsible for its health benefits. The new study also found that in 13 participants with elevated blood pressure or stage 1 hypertension (120–139/80–89 mmHg), systolic blood pressure was about 10 points lower after supplementation. A drop of that magnitude could translate to a 25 percent reduction in heart attack risk. Ultimately, the authors say, such CR-mimicking compounds could provide an additional option—alongside the dietary changes and exercise currently recommended—for people whose blood pressure is not yet high enough to warrant medication but who are still at risk for a heart attack. The study was partially funded by grants from the National Institutes of Health and the American Federation for Aging Research. ChromaDex, the maker of NIAGEN provided supplements and some financial support. Underground complex “Santica” in the heart of Kobe is the target of a 3-year initiative to develop an airflow control system based on AI sensors that detect the movement of people and air currents. The project was commissioned by Japan’s Ministry of Environment as a Low Carbon Technology Research and Development Program. It is a collaboration between Kobe University, Nikken Sekkei Research Institute (NSRI), Sohatsu Systems Laboratory Inc., and Kobe Chikagai Co., Ltd. (location provider). For 3 years from 2017 to 2019, Kobe University is working with NSRI and Sohatsu Systems Laboratory Inc. to reduce energy costs by developing the next generation of heating, cooling and ventilation technology: controlling air currents based on predicting people’s movements. The goal is a 50% cut in energy and CO2 emissions in the Santica underground area. Nippon Telegraph and Telephone Corporation (NTT) provides technology support for this project by developing the AI that predicts human movement, and contributing technology for optimization and regulation. Kobe City is also a participant, offering support with the aim of troubleshooting and providing services for Kobe’s citizens. The Sannomiya area in the heart of Kobe city is undergoing large-scale renovations, and the “Santica” underground complex is in a key location. We aim to use this underground-based initiative as a catalyst for making the entire city center “smart”. Stations, airports and partially-open underground complexes have particularly high heating and cooling costs compared to regular buildings. Due to the complex nature of human movement in these areas, effective heating, cooling and ventilation methods are yet to be established. However, recent developments in IoT technology have made it possible to obtain more detailed data about these environments. This enables new airflow controls and creates new possibilities for reducing CO2 emissions. In addition to controlling airflow around entrances and exits based on the season and time of day, this initiative also understands and predicts the environment (movement and behavior of people, heat data etc.) of the underground complex using sensors for air currents and movement of people. Through smart control of airflow based on this data we aim to minimize heating and cooling costs, saving electricity and reducing CO2 emissions by approximately 50% in the Santica area. Heating, cooling and ventilation is traditionally provided equally throughout a space. In contrast, the technology developed in this initiative will calculate the necessary heating, cooling and ventilation for each area, minimizing energy output. This will add a pleasant fan effect to the air currents. Through this project, we are testing the effectiveness of AI-based real-time data collection, analysis and regulation in predicting human movement and controlling our environment. The slow fade of radioactive elements following a supernova allows astrophysicists to study them at length. But the universe is packed full of flash-in-the pan transient events lasting only a brief time, so quick and hard to study they remain a mystery. Only by increasing the rate at which telescopes monitor the sky has it been possible to catch more Fast-Evolving Luminous Transients (FELTs) and begin to understand them. According to a new study in Nature Astronomy, researchers say NASA's Kepler Space Telescope captured one of the fastest FELTs to date. Peter Garnavich, professor and department chair of astrophysics and cosmology physics at the University of Notre Dame and co-author of the study, described the event as "the most beautiful light curve we will ever get for a fast transient." The FELT, captured in 2015, rose in brightness over just 2.2 days and faded completely within 10 days. "We think these might actually be very common, these flashes, and we have just been missing them in the past because they are so fast," Garnavich said. "The fact that one occurred in the small area of the sky being monitored by Kepler means they are probably fairly common." The FELT, captured in 2015, rose in brightness over just 2.2 days and faded completely within 10 days. Most supernovae can take 20 days to reach peak brightness and weeks to become undetectable. Researchers debated what could be causing these particularly fast events but ultimately settled on a simple explanation: The stars "burp" before exploding and don't generate enough radioactive energy to be seen later. As the supernova runs into the gas expelled in the burp, astrophysicists observe a flash. The supernova then fades beyond their ability to detect it. "Our conclusion was that this was a massive star that exploded, but it had a mass loss -- a wind -- that started a couple of years before it exploded," Garnavich described. "A shock ran into that wind after the explosion, and that's what caused this big flash. But it turns out to be a rather weak supernova, so within a couple of weeks we don't see the rest of the light." The only visible activity is from the quick collision of the gas and the exploding star, where some of the kinetic energy is converted to light. One mystery that remains is why the "burp" would happen such a short time before the supernova explosion. Astrophysicists want to know how the outside of the star reacts to what's happening deep in the core, Garnavich said. While the Kepler telescope and its K2 mission is expected to run out of fuel and end in the coming months, NASA's Transiting Exoplanet Survey Satellite (TESS) is planned for launch following the K2 mission. Garnavich said data retrieved during the TESS mission could also be used to study FELTs. The study was led by Armin Rest at the Space Telescope Science Institute. 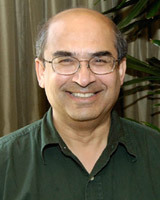 Co-authors include Giovanni Strampelli, also at the Space Telescope Science Institute; David Khatami and Daniel Kasen at the University of California Berkeley and Lawrence Berkeley National Laboratory; Brad E. Tucker, research fellow at the Research School of Astronomy and Astrophysics, Mount Stromlo Observatory and the ARC Centre of Excellence for All-Sky Astrophysics; Edward J. Shaya, Robert P. Olling and Richard Mushotzky at the University of Maryland; Alfredo Zenteno and R. Chris Smith at the Cerro Tololo Inter-American Observatory; Steve Margheim at the Gemini Observatory; David James and Victoria A. Villar at the Harvard-Smithsonian Center for Astrophysics; and Francisco Förster at the University of Chile.